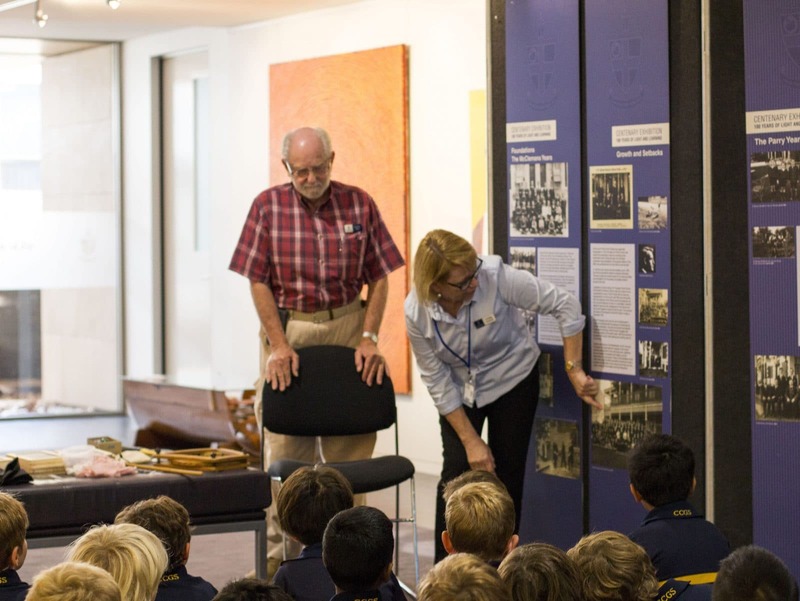 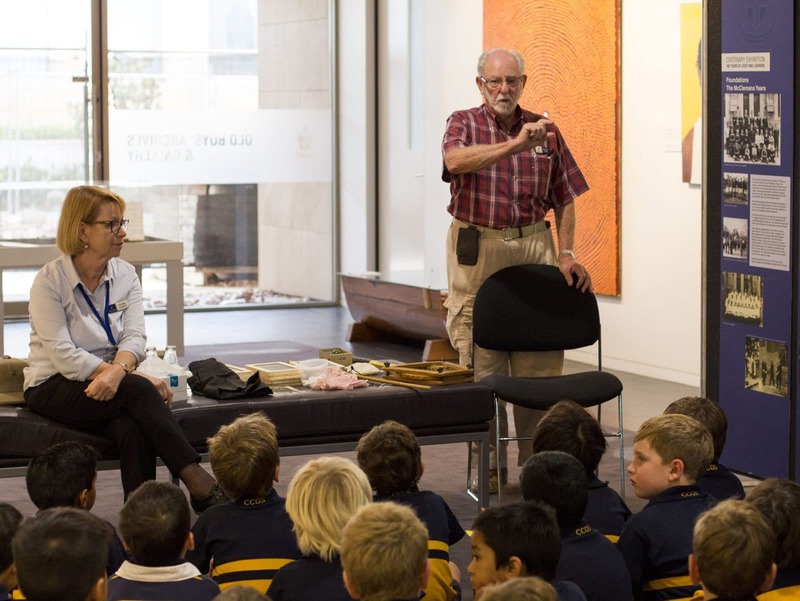 Boys in Years 1 and 2 were taken back in time at the end of Term 1 as old boy Berkeley Allen (’53) shared with them personal stories as a former boarder from Kalgoorlie over 75 years ago. 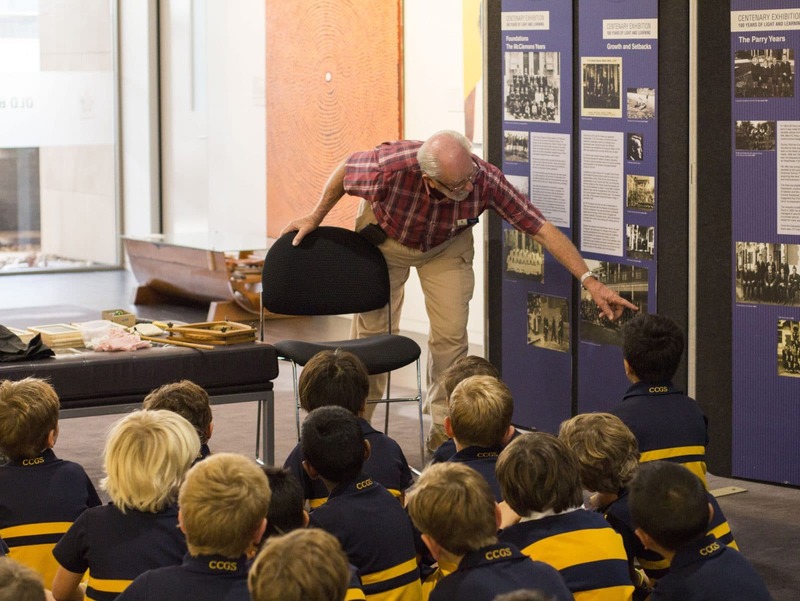 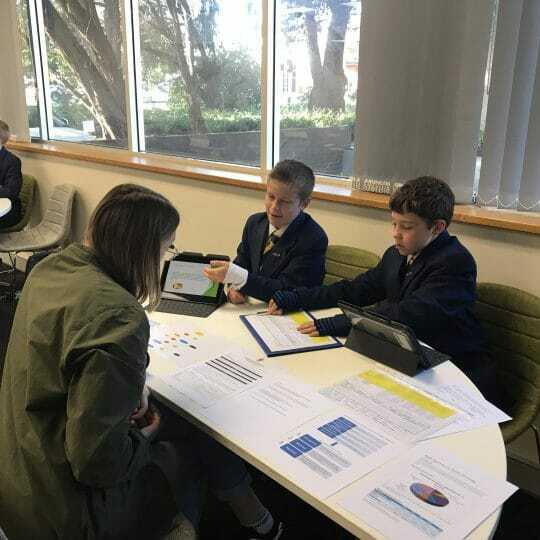 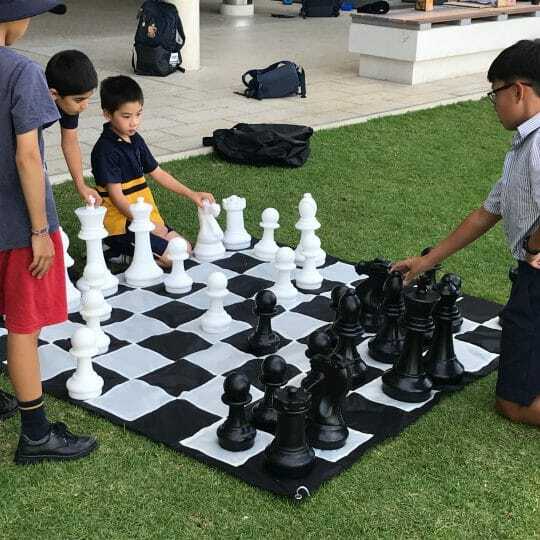 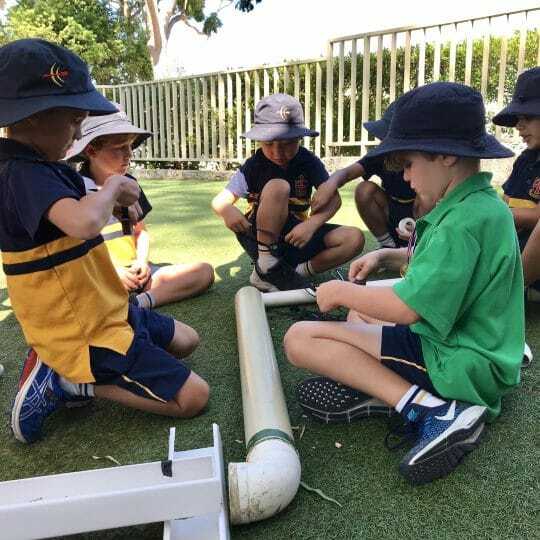 “Throughout the sessions, Berkeley was asked many questions by boys wanting to find out what games, sports and lessons were like during those times. 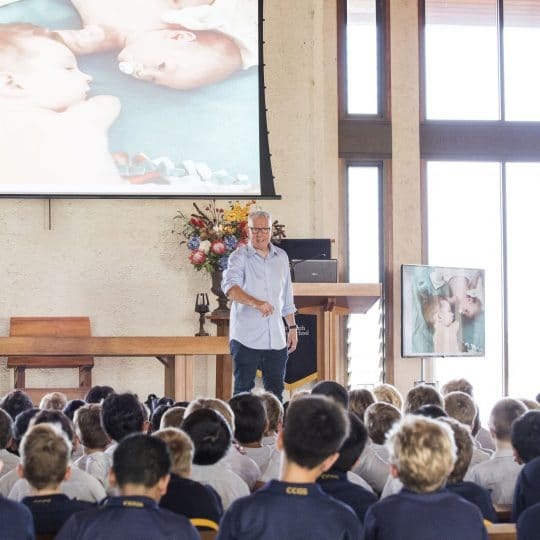 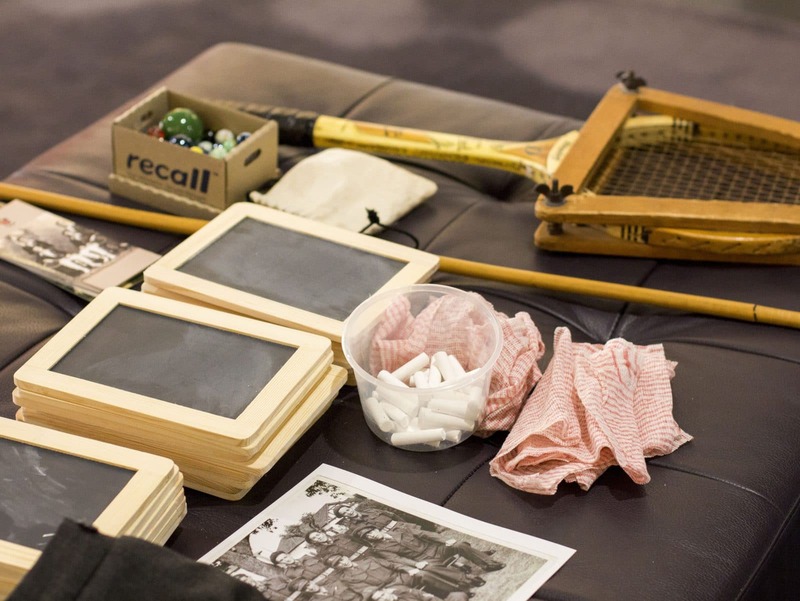 The boys were keen to hear about schooling life during World War II, and were horrified to be told of cabbage with sand and bugs, cold showers, outdoor dormitories, and punishments,” says Christ Church Grammar School Archivist, Freida French. 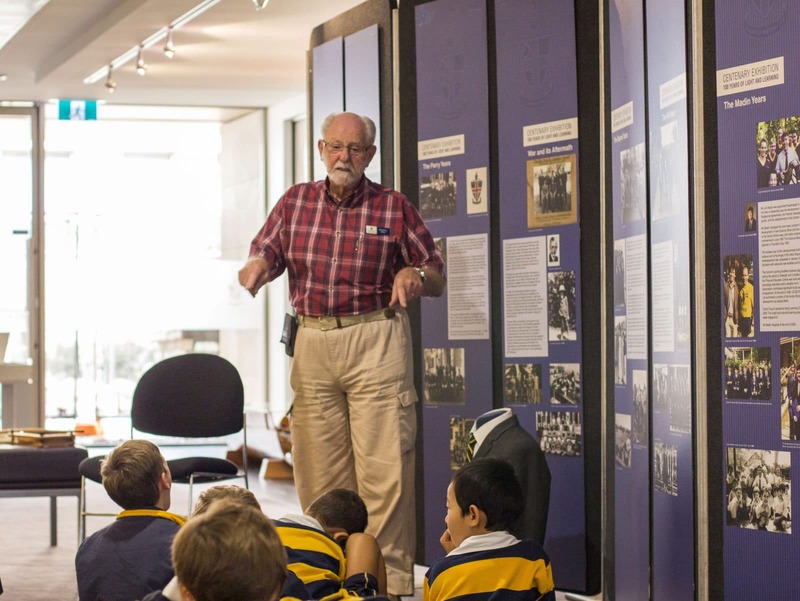 The talk was part of the Preparatory School’s History program which includes organised visits throughout the year to the School’s archives, based in the Old Boys’ Gallery.